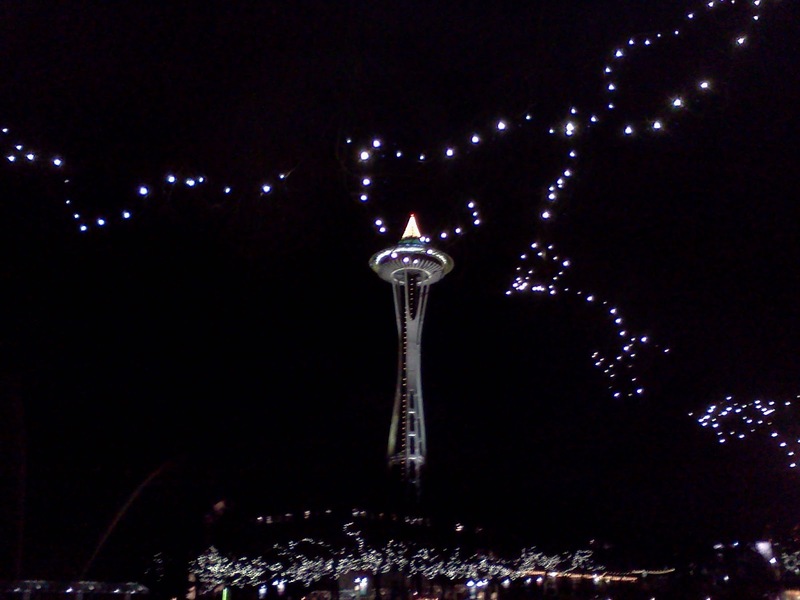 Look at the stars out in Seattle! 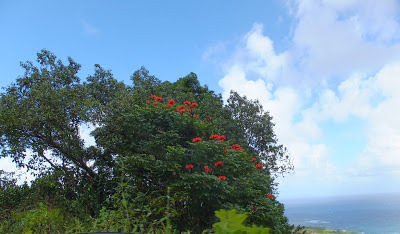 I was so taken with the red blossoming trees prevalent during the day-long road trip to Hana that I sought information about them as soon as I had access to a computer. They are African Tulip trees, also known as Flame trees ,and . . . invasive! Seems that they have greedily usurped much habitat all over the Hawaiian islands. Many years ago a friend from Milwaukee visited us in the fall. Seattle is an area in which the Himalayan blackberry has crowded out much vegetation and is the bane of existence for property owners and land managers, as it is nearly impossible to eradicate. As my friend and I were driving back from an excursion, she noticed people stopped on the side of the road picking the berries (and they can be absolutely yummy). "Oh, wow! Wild blackberries! Can we stop to pick some?" My response was negative. "Absolutely not! Picking them only encourages their growth," I answered. Now I am remembering that response guiltily. Can beauty (or flavor) sometimes help us overlook and excuse the undesirable attributes of flora? We are just back from a weeklong trip to Maui, Hubby's and my first-ever visit to that island. Although many aspects of the trip bear writing about, I will start with the most incredulous moment--seeing for myself, without any introduction, what has to be one of the most beautiful trees in the world. Meet the Rainbow Eucalyptus tree! At first, I thought someone had intervened, painted it with acrylic paint or rubbed it with colored chalk on a whim! But no, the colors occur naturally. 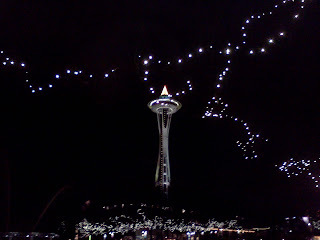 If you google the term, you'll see a number of photographs, but this one is mine! While waiting for my hairdresser last week (just a haircut, and she was running behind), I reached blindly into the magazine rack for diversion. 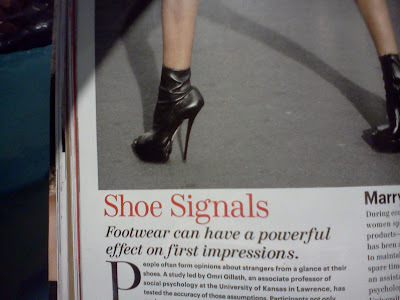 Allure was the magazine I grabbed, geared to the professional, modern woman with (apparently)a high interest in style. Flipping through its glossy pages, this page with its photo caught my attention. 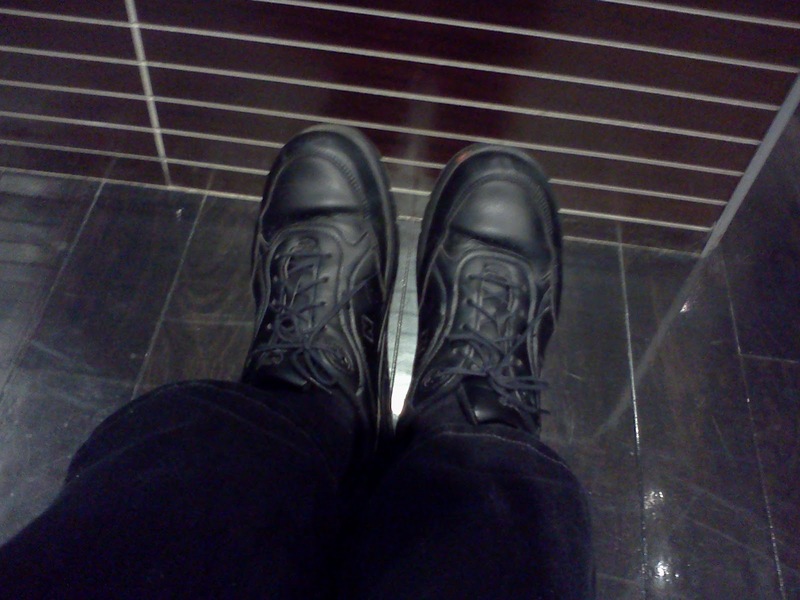 I looked down at my shoes. I looked at the picture again. I laughed out loud, then closed the magazine. 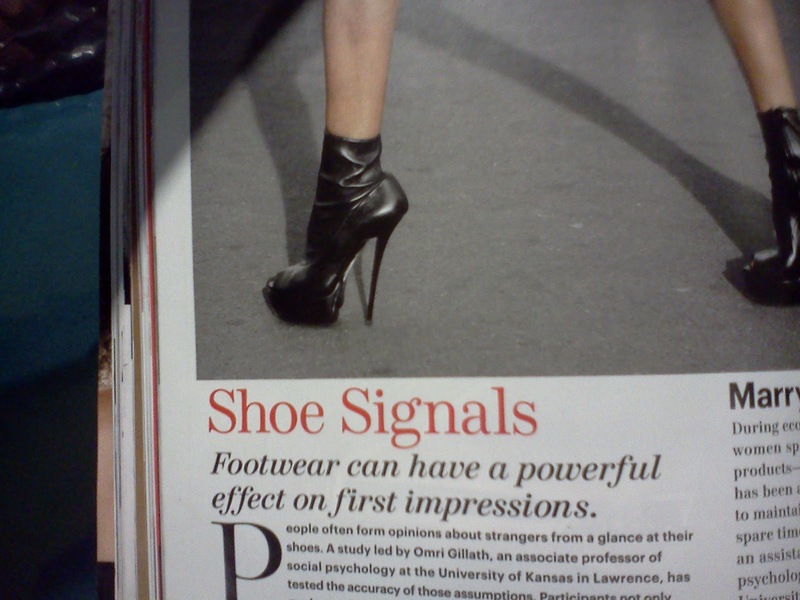 Still giggling, I reopened the magazine and snapped this picture of that page with my cell phone, then snapped another one, this time of my footware, right there . . . at the salon. I couldn't help asking myself the question: What kind of first impression do I make? I'm quite sure I know.